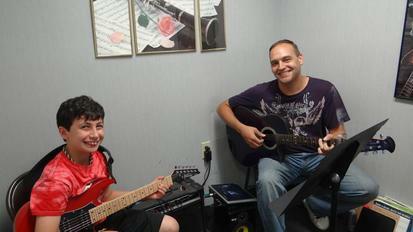 The Music Shop hosts a 1 week session for students to come together and play their favorite rock tunes. The Music Shop staff helps them pick out, rehearse and learn songs. The rehearsal sessions take place Monday through Thursday between 9am to 12pm, with a live recorded performance on Friday. Any instrument is welcome to join. Cost is $150. This has been a big hit every summer! The workshop is 4 hours long and cost is $80. The next workshop will be on Saturday April 21st from 11 - 3 PM. 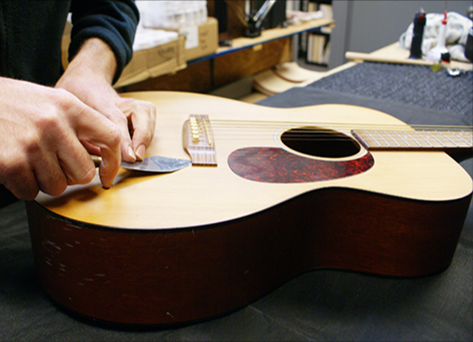 Are you interested in learning about maintaining your acoustic, electric or bass guitar? Sign up for the guitar repair clinic and learn about truss rod adjustments, intonation techniques, general maintenance and electronic troubleshooting. Work on your own guitar or learn on one of ours. This is a great class to learn how to identify basic problems that your guitar may develop. Let us know if you are interested and we will hold a spot for you. The Music Shop will be hosting the Spring student recital on Saturday, June 9th from 12-4 PM at First Congregational Church - 37 Main Street, Southington. All students are welcome to attend. There will be four 1-hour sessions so you do not have to stay for the full 4 hours. Let your instructors or front desk staff know if you are interested in participating. Start practicing! The Music Shop will be hosting a new program starting in January, on Saturdays, from 3-4 pm. Weekend Rock Band will be much like our summer Rock Band Camp where a group of school-age students learn to play in a live-band setting. Our summer Rock Band Camp has been a big hit, and we've had multiple inquiries from our students for this program. Call the store to sign up! Cost is $99 per month.